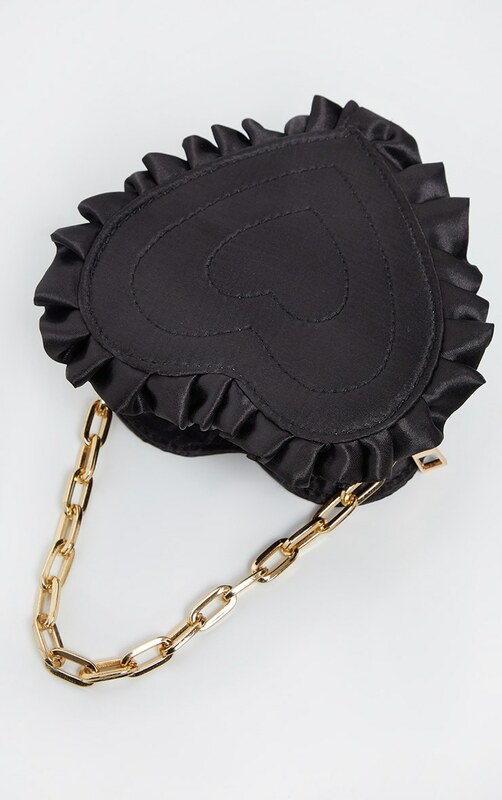 Accessorise the cute way with this mini bag. 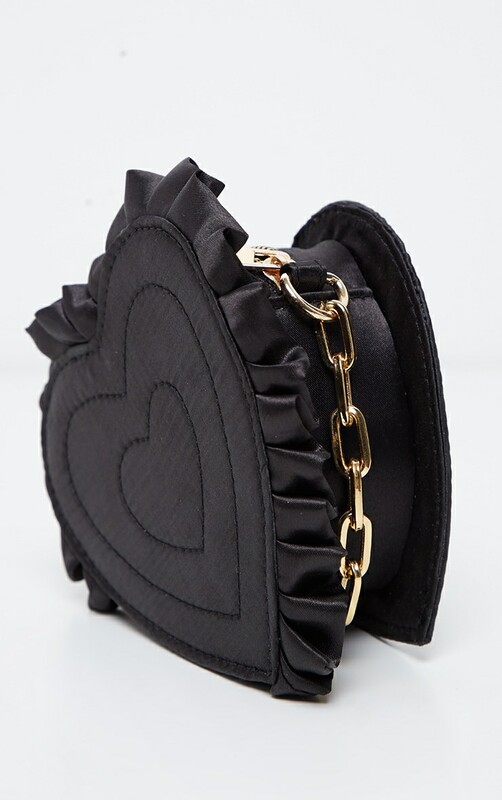 Featuring a black satin fabric, a heart shape with a zip fastening and a gold chain. Perfect for this valentines.